Judy Waterlow MBE, now in her seventies, designed and researched her pressure ulcer risk assessment tool in 1985, while working as a Clinical Nurse Teacher. The tool was originally designed for use by her students. Judy officially retired on medical grounds in 1988, due to the increasing severity of her rheumatoid arthritis, she has continued her efforts to improve nurse education and patient care with her work for the Tissue Viability Society, serving on the Committee and organising the TVS Regional Study Days for 13 years, Challenging Arthritis, the NHS Expert Patient Programme and latterly as a Musgrove Hospital Partner. The Partners are a group of unpaid volunteers who work with hospital staff in various ways within the hospital, where their personal expertise and experience can be of value. 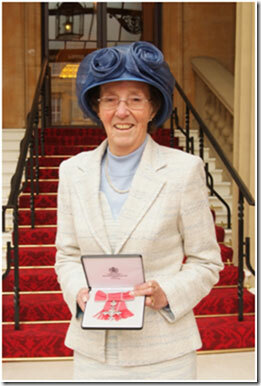 This dedication to her profession both in hospital and in the community was recognised by the award of the MBE in the Queen’s Birthday Honours list published on June 14th 2008. At a glittering Awards Ceremony hosted by the British Journal of Nursing in London on 22nd March 2013 Judy was awarded a Special Award for her services to nursing. 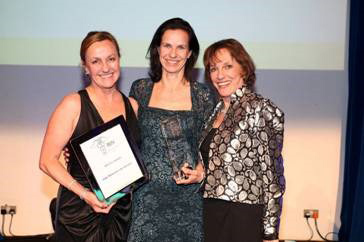 Unfortunately Judy’s poor health precluded her attendance, so the award was collected by her 2 daughters Fiona and Sarah which was presented by Esther Rantzen. Click here - Waterlow Score Card. If you would like a free download of a Waterlow Score Iphone App please Click here - Waterlow Score App. Click here to print off an order form to send for a hard copy version of the Manual. Click here to order the instant download version of the Manual. The main aim of this website is to provide easy access to up to date infomation on improving - pressure care, preventing pressure ulcers, and and the importance of risk assessment, plus information on the Waterlow Scale and how to use it effectively. The site is primarily aimed at nurses, healthcare professionals, students, care home owners,and anywone interested in pressure ulcer care prevention.